Kathryn Blackwell combines photography with photo-editing software to cre- ate fascinating one-of-a-kind images. A personal favorite is her Purple Dahlia photo, available for viewing at the show. Photos special to the Journal. If you’re looking to add a touch of beauty or whimsy to your home décor, wardrobe or jewelry collection, a Sunday afternoon stroll through the Handmade Art Show on Oct. 15 in Homewood Central Park might fill the bill. Sponsored by the Homewood Arts Council and the city of Homewood, the Handmade Art Show is a free fall event held each second weekend in October. This year’s Handmade artists will be selling a range of items from pottery to paintings to stained glass and jewelry. Below, jewelry designer Wendy Watts will be bringing selections from her Wine Designs by Wendy line. Jewelry designer Wendy Watts will be bringing selections from her Wine Designs by Wendy line, featuring necklaces made with upcycled metal crowns from Champagne, prosecco and other sparkling wines. She combines the crowns with five or six kinds of beads, stones or pearls, then adds unique closures. 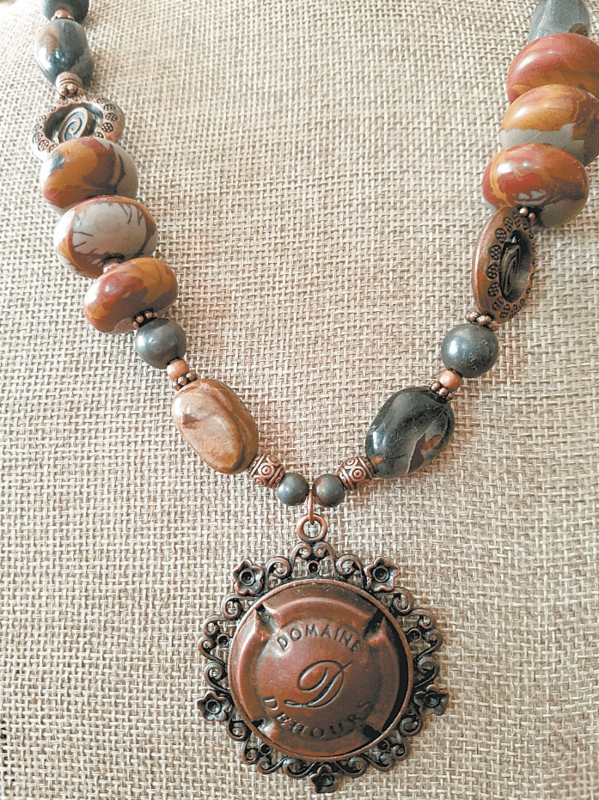 One of her favorite pieces features a dark copper crown from the Dehours Champagne house combined with two types of jasper, hematite, black druzy and antique copper. For another piece, she used a purple crown from the Laurent Perrier Champagne house and surrounded it with purple electroplated quartz crystal points, purple glass beads and purple pearls interspersed with copper and a purple-hued copper chain. From her Blackcat studio, Kathryn Blackwell uses photo-editing software to create fascinating one-of-a-kind images. A retired school counselor, she launched her creative journey taking portraits of actors in a school play. When one of the youngsters saw her own portrait for the first time and exclaimed, “I’m beautiful!” Blackwell was hooked. “That sealed it for me,” she said. Blackwell credits Samford University’s Academy of the Arts with helping her improve her skills and broaden her scope as a professional photographer. She particularly enjoys macro photography, and one of her favorite photo-editing techniques is to create multiple layers of color by com- bining diverse images. “It’s much more interesting than just a straight shot,” she said. 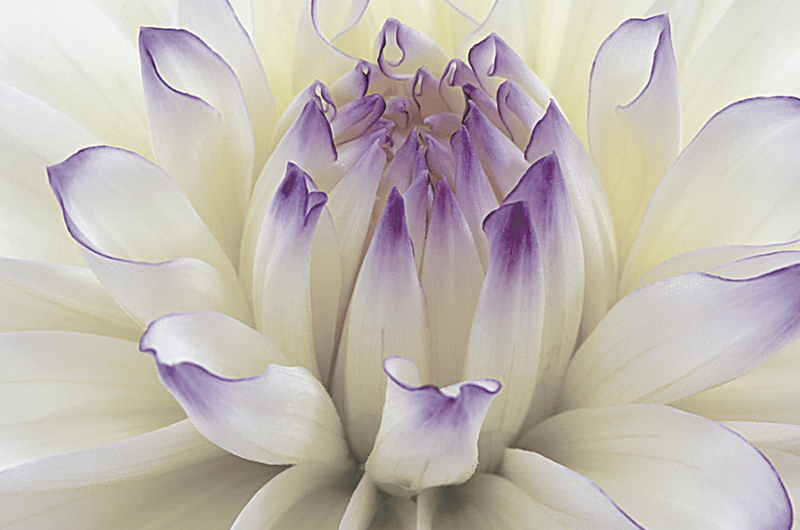 One of her personal favorites is her Purple Dahlia photo, available for view- ing at the show. Handmade Art Show attendees will not want to miss seeing mixed media artist Pam Truitt’s work. Her signature bird paintings are irresistible for their color and whimsy, and a line of hand towels bearing her bird images provides unique gifts for upcoming weddings, birthdays and other special occasions. A well-known and respected artist in the area, Truitt uses a variety of tech- niques – painting, paper, pen and ink, and printing – to create her charming birds. She is a self-taught artist with a vast store of knowledge gained from working at Alabama Art Supply for 30 years. Though Truitt has taken part in other art shows, she especially enjoys the Handmade Art Show for its people. “Jill and Valerie, who head up the show, the other artists and the people who come to the show are all great,” she said. Partnered with the Handmade Art Show is Pickin’ in the Park, an acoustic music festival designed to give local musicians an opportunity to bring their own instruments and play music with others. Musicians scheduled to perform on the park stage include Foggy Hollow Review, James Mullis and Birmingham Ukulele Society. The Handmade Art Show will begin at 10 a.m. and last until 5 p.m. Food trucks have been invited, and picnicking is encouraged. Attendees may bring their own chairs and blankets.